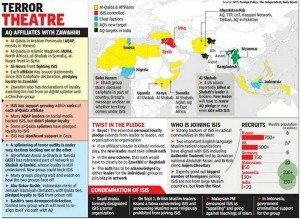 Ayman al Zawahiri’s declaration that al-Qaeda was opening an office in the Indian subcontinent poses a significant threat to India and other countries of the region. India needs to reassess the likely modus operandi of al-Qaeda in the Indian Subcontinent (AQIS) and the role of terrorist groups operating in India associated with the activities of al-Qaeda. Harkat-ul-Mujahideen (HUM), a Pakistani jihadist group which is linked to al-Qaeda is likely to lend full support to AQIS. 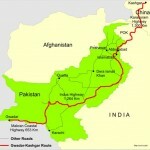 It is already active in South Asia, and it is reported to be running several training camps in Afghanistan. The US State Department has described HUM as ‘a Pakistan-based terrorist organization that seeks the annexation of Kashmir into Pakistan’. Major policy miscalculations of the Western powers in the past are directly or indirectly responsible for the rise of the IS, which is now threatening to damage the fabric of modern civilisation. The ISIS, or simply IS, operating across the Iraqi-Syrian borders has dramatically changed the global security environment. It is currently in occupation of nearly one-third of Iraq, a swath of land from outskirts of Baghdad to Aleppo, in Syria, in the east and areas bordering Lebanon and Turkey in the west. Barbaric acts against unarmed civilians, mass executions, catastrophic bombings and massacre of minorities in the areas occupied by the IS indicate that it may soon become a major threat to existing international world order. Joint action by regional and international powers is urgently needed against the IS, along with the revival of the global war against terror through the UN and international counterterrorism agencies. The US has recently declared that it is building a coalition for a coordinated diplomatic, economic and military action to crush the ISIS. US president Barack Obama’s four-pronged strategy of air strikes, support to local proxies, defence against the IS’s attacks through intelligence and counterterrorism will, however, take some time to show results, and how far this strategy will succeed in crushing the IS is not clear yet. Extensive and sustained intelligence backing, logistic support and air strikes from various members of the coalition would be required to contain Islamic militants and prevent the ingress of IS Islamists in other parts of Asia. It is widely believed that the IS has support of Saudi Arabia, Qatar and Kuwait, which are the main advocates of the Salafi-Wahhabi version of Sunni Islam. The IS demands strict adherence to Wahhabi-Salafi ethos and acceptance of Caliph Baghdadi as the supreme commander of all Muslims. The IS declares that Muslims who in any way fail to conform to their brand of Islam are in fact infidels who should be put to sword, their wives and daughters acquired and violated and their possessions destroyed or confiscated. Those meriting this punishment include the Shi’ites, the Sufis and liberal Muslim societies. The rapid advance of the ISIS into Iraq and proclamation of a caliphate on the first day of Ramadan, calling in question the existing borders of states in the region, shattered peace in the entire region and wiped out the gains of the US-led victory in Iraq. The IS poses a threat to most countries of the region, including Arab countries, but it poses a threat mainly to Iran, Iraq and other Shia-dominated areas. It is widely believed that the IS has support of Saudi Arabia, Qatar and Kuwait, which are the main advocates of the Salafi-Wahhabi version of Sunni Islam. 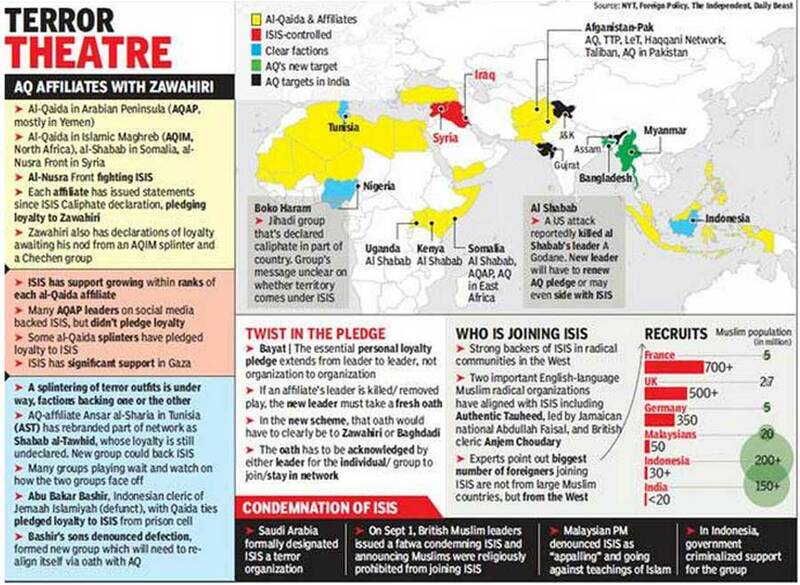 Given the moderate Islamic culture of Indian Muslims, AQIS is unlikely to get much support in India and will certainly fail in its attempt to establish a base here. Ayman al Zawahiri’s declaration that al-Qaeda was opening shop in the Indian subcontinent suggests it is retreating from west Asia in face of opposition from the IS. 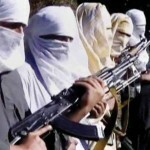 It is believed that the US had alerted the Indian authorities about al-Qaeda’s plans to expand operations into the Indian subcontinent late in August, but little notice was taken of this warning by the counterterrorism agencies in India. Al Zawahiri’s declaration poses a significant threat to India, and it must reassess the likely modus operandi of AQIS and the role of terrorist groups such as HUM, Harkat-ul-Jihadal- Islami (HuJI), Students Islamic Movement of India (SIMI) and Indian Mujahideen (IM), which are linked to al-Qaeda. 1. Ramtanu Maitra. ‘ISIS: Saudi-Qatari-Funded Wahhabi Terrorists Worldwide.’ Executive Intelligence Review, 29 August 2014. <http:// www.larouchepub.com/eiw/public/2014/2014_30-39/2014-34/pdf/19-24_4134.pdf>; Wesley Clark. 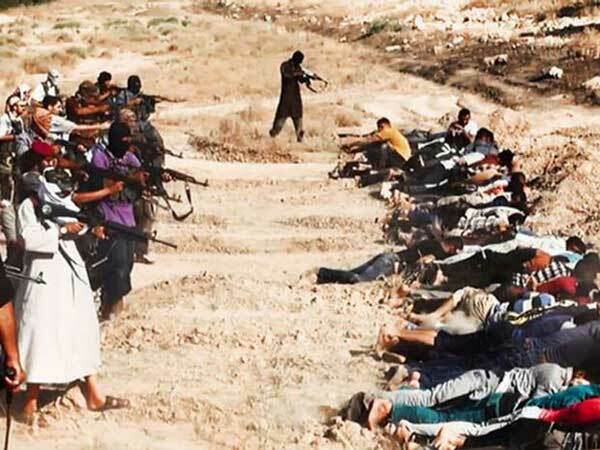 ‘ISIS Is Forcing a “Moment of Truth”.’ CNN, 26 August 2014. <http://edition.cnn.com/2014/08/26/opinion/clark-u-s-syria-isis/>. 2. Ramtanu Maitra. ‘ISIS: Saudi-Qatari-Funded Wahhabi Terrorists Worldwide.’ Executive Intelligence Review, 29 August 2014. <http:// www.larouchepub.com/eiw/public/2014/2014_30-39/2014-34/pdf/19-24_4134.pdf>. 4. Op cit, n. 1. 5. Bill Roggio. 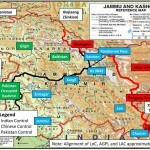 ‘Harakat-ul-Mujahideen ‘Operates Terrorist Training Camps in Eastern Afghanistan.’ The Long War Journal, 8 August 2014. <http:// www.longwarjournal.org/archives/2014/08/harakat-ul-mujahidee.php>.